The conference will feature 12 oustanding speakers. In addition, a poster session will be organized and some speakers will be selected to give short talks on the basis of the abstracts submitted. Inscription fees are kept to a minimum. Rooms of different categories have been pre-booked for this event. 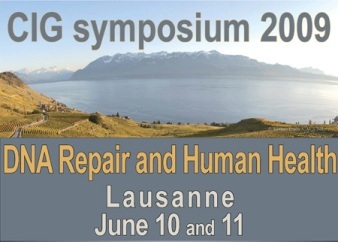 The meeting will take place on the Dorigny campus of the University of Lausanne, a beautiful place on the shore of Lake Geneva. We encourage you to join this event and to submit an abstract of your work. We are looking forward to meeting you at the CIG symposium 2009.